Until now, online casinos were accessed using a PC or laptop, but now, more and more betting and gaming sites are accessed using popular smartphone & tablet devices. Apple’s 2007 launch of the iPhone and Google’s Android launched in 2008, has changed the whole online gambling scene. 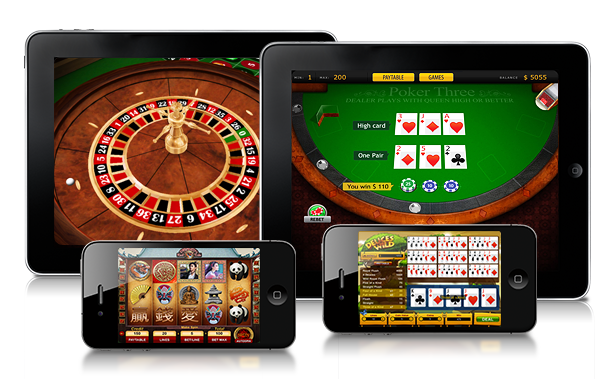 All major online casino software providers have adapted and developed their content for use with these handheld devices. Their popularity is obvious, players today can find many secure mobile casinos and betting site to play on. The most popular mobile casinos in the United States are powered by Rival Gaming, Realtime Gaming and/or Betsoft Gaming. International players access gambling sites powered by Microgaming, Playtech, NetEnt and IGT Interactive which specialize in mobile casinos. Historically, the first mobile e-casinos were simple and basic looking, especially when you compare them to todays mobile casinos, which are elite. Since the technology keeps evolving and companies are able to implement those upgrades quickly, todays players access the very latest in cutting edge mobile casino technology. That enjoyable betting experience stimulates the continued growth in online gambling from personal devices. There are a growing number of fully licensed mobile casinos that have HD quality games with state of the art touchscreen technology and responsive player controls. They include lots of stunning animated sequences with 3D rendered graphics and impressive sound effects for players to indulge in. The mobile networks are super stable so a fast connection allows you to get invested in the games uninterrupted. If a connection is lost mid-game, the next time you launch that game you’ll be taken to the exact same point from where you were cut off. That’s encouraging for players to not lose their spot. The new standard platform for mobile devices was established back in 2010, and it’s this HTML5 mobile casino technology which led to massive increases in the number of mobile casino games. HTML5 mobile games could now run on any HTML5 compatible smartphone or tablet device which made them widely accessible. When mobile casinos first became available over five years ago, players could only play around ten games, but now in 2015 there are over 50 individual mobile casino games available, and new games are released every month. But not everything is so positive on the gaming front. A reoccurring problem for US players is that they often have very few payment methods available. Actual money mobile casino gambling is legal in the US, but the UIGEA (Unlawful Internet Gambling Enforcement Act of 2006) prohibits most financial institutions from processing transactions from online gambling sites (meaning from both desktop & mobile gaming sites). That means you can’t use your credit card to gamble. A few US states are starting to take a more relaxed approach towards online gambling and many top-rated US mobile casinos that operated within these states now offer a few reliable online payment options. 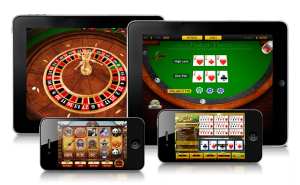 Outside of that, many popular mobile casinos are very to use and navigate due to the highly sophisticated design and user-friendly interfaces. It’s free to sign up and there are many guaranteed new player welcome bonuses. These sign up bonuses can be matching your deposit or even a no deposit bonus. An added bonus is that these mobile casinos usually run the best anti-fraud software that safeguards your account details continually. If you want to visit a mobile casino directly and you already have an account with the desktop version of an online casino you can start playing from your mobile device, with the exact same login details so you don’t have to open a new account. Once you’ve signed in to a mobile casino for the very first time, just click on a game that you like and it will simply launch in seconds. You’ll be able to choose from a variety of mobile slots, table & card games, video pokers, instant win games and many more. There are many popular games, so some of the best titles to keep an eye out for when playing from your mobile device are Aladdins Wishes, Blackjack, Builder Beaver, Caesars Empire, Jackpot Cleopatras Gold, Count Spectacular, Coyote Cash, Crystal Waters, Naughty or Nice and T-Rex; just to name a few!